I’ve been working for Qatar’s Digital Incubation Center (DIC) for almost two years. My job is to help the startups incubated here develop brilliant, usable products that solve genuine problems and hold their own in a regional and global market. This makes my job both essential and really really hard! It also makes the founder’s job extra challenging as they have to carry out unfamiliar roles. To be successful founders must adopt design thinking, understand technical concepts AND be the business brains. Whilst it is not uncommon for startup founders to wear many hats, there is a particular challenge here in Qatar finding co-founders who can bring the necessary skills to the team so often founders are left floundering. So far my approach has been to encourage founders to find talented co-founders from developer communities in Doha, the Universities and Colleges and to bring in talent from outside of Qatar. The way that a lot of founders get around their skills shortages here is to outsource development. This makes it difficult to use Lean or Agile techniques to develop a product. This also means products do not benefit from technical expertise from local, analytical thinkers who can potentially uncover new ideas or approaches a non-technical person may not have the expertise and awareness of. As above, my approach is always to encourage startups to bring talent in-house. And either way I introduce startups to Lean methodology and Agile software development principles and then help them apply key elements to existing development processes. For example, using a product backlog and prioritised roadmap to determine what the outsourced team should focus on. We have an induction program at the DIC that introduces teams to Lean startup methodology. Our set of milestones that we expect teams to meet are also based on Lean principles. However teams struggle to apply the approach. All too often I meet with teams who talk about launching a ‘finished’ product rather than wanting to get to market quickly with an MVP and iterating on it. Startups need to be more prepared to learn and pivot, confident they have identified a genuine need in the market. We see many of the same ideas being pitched to the DIC that address a very narrow set of sectors. And yet all industry sectors here in Qatar are expanding and in need of innovation. 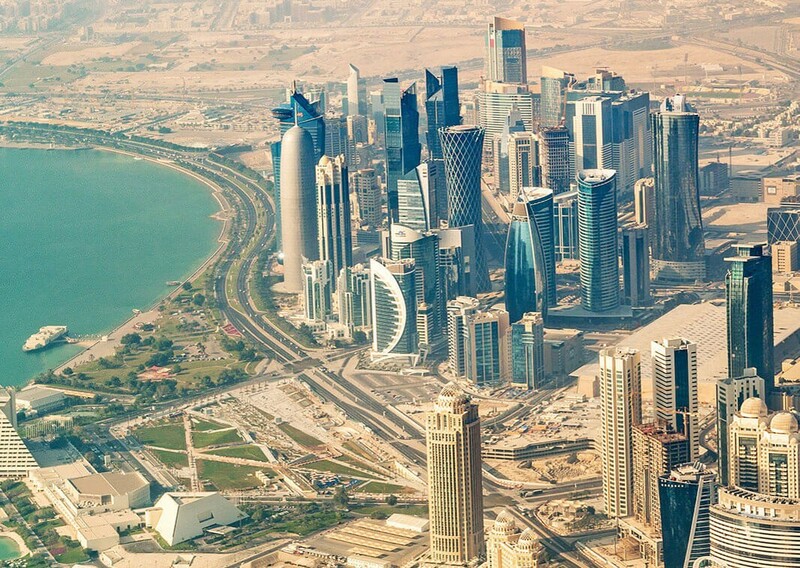 Qatar is in the unique position in that it is a rapidly developing nation in the 21st century. There are opportunities to dive straight into building this nation using new technology and innovative solutions, looking to the future rather than the past as a guide. There needs to be more collaboration between incubation centres and industry, so that incubators can seek out and perhaps even create the startups needed to address specific industry opportunities and challenges. Most importantly perhaps the enthusiasm is infectious. And I love that — there is a genuine sense that together we are building Qatar’s future and I couldn’t be more proud to be part of that. The lack of in-house development and design resource is a real problem for startups that really holds them back in their product development both in terms of the speed of delivery and the quality of the product. My one piece of advice to all entrepreneurs wishing to launch a tech startup in Qatar is to make sure you have a co-conspirator with a technical background and knowledge of your field. Not only will this help you deliver a brilliant product sooner, it also has the potential to unlock opportunities for innovation you wouldn’t have even dreamed of.